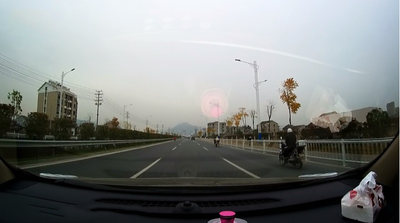 TripCam Pro records video of your driving, proving your innocence if another driver hits you. This keeps you protected from legal fees, traffic citations and higher insurance premiums that can ruin your lifestyle and reputation. Using the latest technology it captures everything in ultra-crisp detail, even at night! Its front and rear cameras automatically capture HD video all day so you’re protected with video evidence from every angle. Having video keeps your insurance premiums low and avoids any legal fees or charges from accidents, insurance fraud or hit-and-runs. 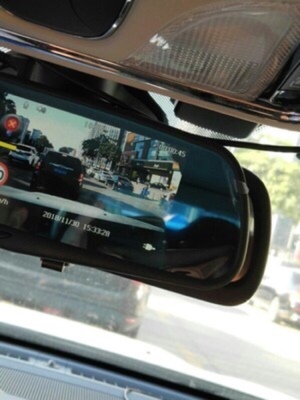 Plus the nifty LCD screen in the rear view mirror provides a live video feed from both cameras making driving and parking a breeze. NOTE: Parents love TripCam Pro to track their teen’s driving or capture breathtaking scenery on road trips. You need a 12/24V to 5V convert adapter (not included) to connect the DVR with car battery directly,and the DVR will still work even if the car engine is OFF. 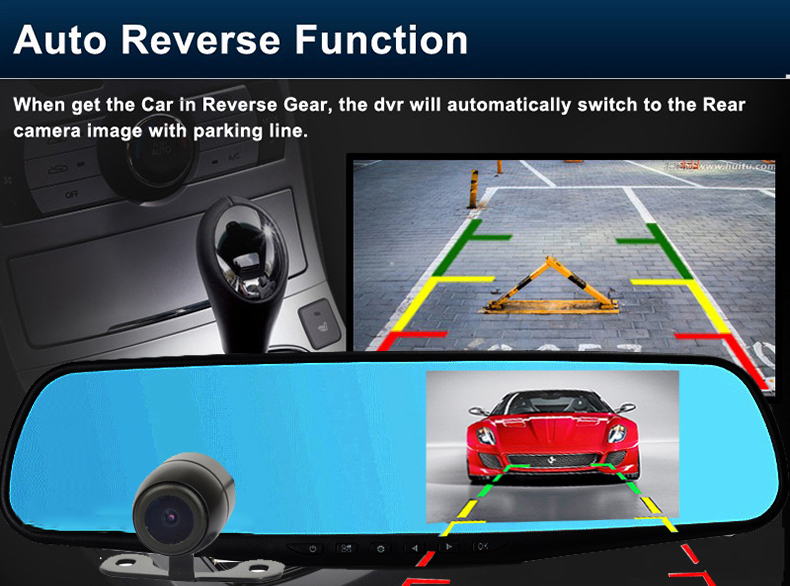 When get the Car in Reverse Gear,the dvr will automatically switch to the Rear Camera image with parking line. 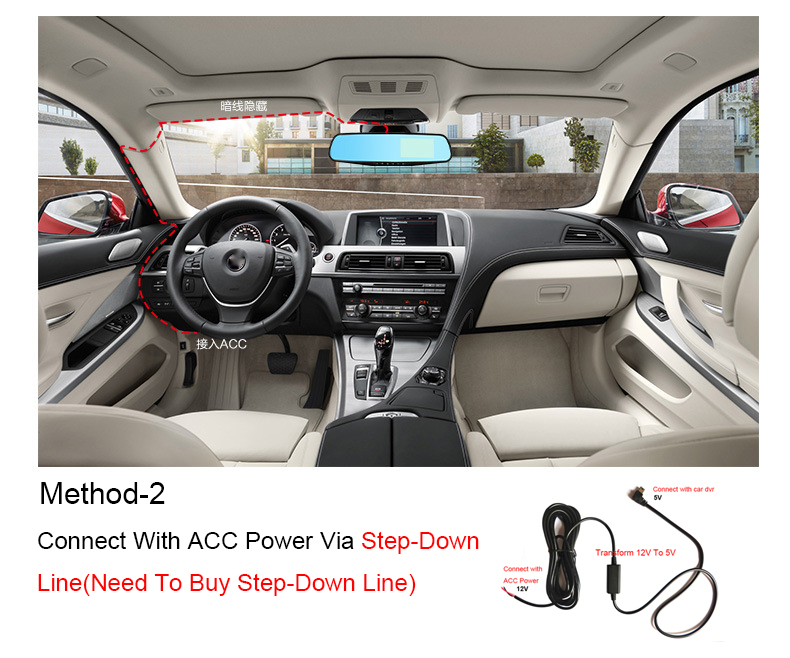 The car’s DVR can only be used with the car’s 12V power supply. Dual 1080p HD Cameras – One camera records the front while the rear camera records the back, perfect for collisions at any angle or to simply help you park. 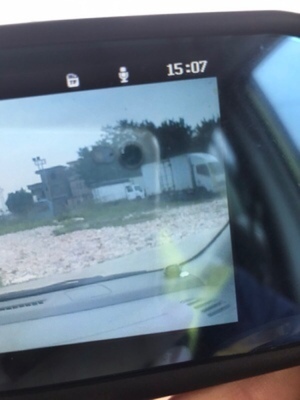 The crisp, high-res footage captures even the tiniest details like distant license plate numbers. 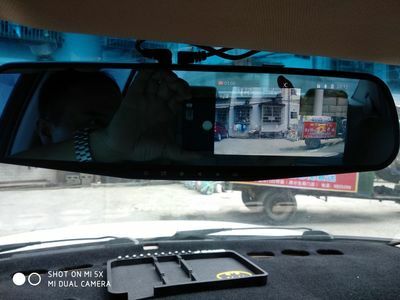 TFT LCD Multi-Display – The front and rear camera views are both shown on the high-res mirror screen, either picture-in-picture or one at a time. 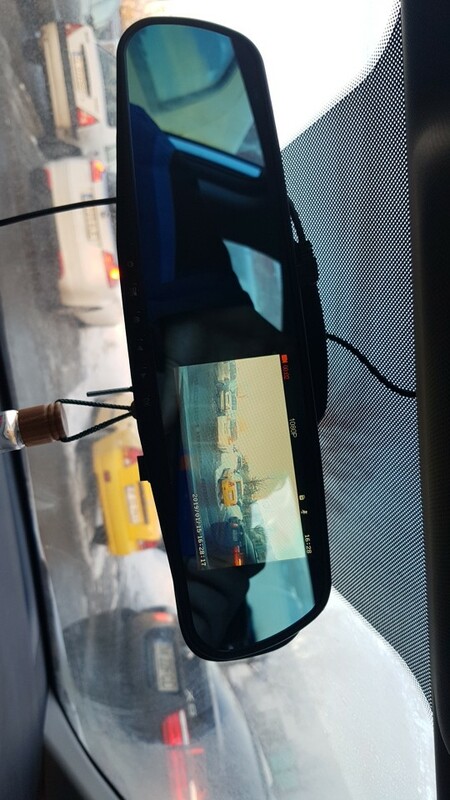 This lets you drive with the display on while still using your mirror – or to playback video on the scene to resolve disputes quickly. Infinite Recording – Never worry about losing video or running out of space! A continuous buffer of the video is constantly overwritten and in the case of an incident, the last 5 minutes are locked and saved for review. It uses MicroSD TF memory cards for storage up to 32GB. Auto-Start – TripCam Pro begins recording immediately when you start your car and then stops when you turn the engine off. You never have to remember to turn it on or hit the record button. Impact Sensor – In the case of an accident, video of the incident is saved to the memory card as evidence. 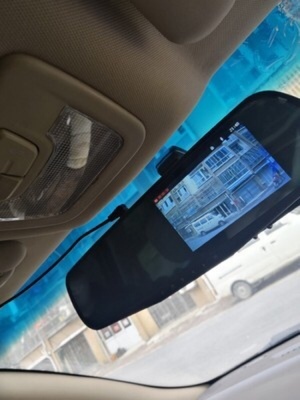 This is a lifesaver that helps prove your innocence, even if the car is parked, *switched off and you’re away (*when connected directly to your car battery via a 12v to 5v connector adapter (not included) so the camera will work even if you’re car is turned off). Park Assist – The rear camera helps to make reverse parking a breeze. See exactly where you’re going in the rear view LCD, saving you from scuffs, dents or accidents. This is a huge confidence boost, time saver and makes parking, even in the tightest parking spots, effortless. 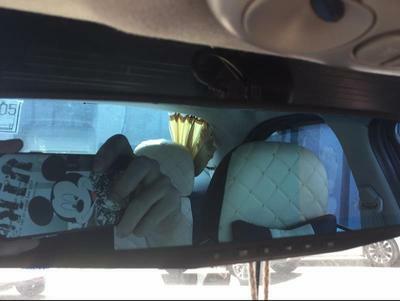 Easy-Install – The LCD mirror simply clips over your existing rear-view mirror so there’s no need to replace it. 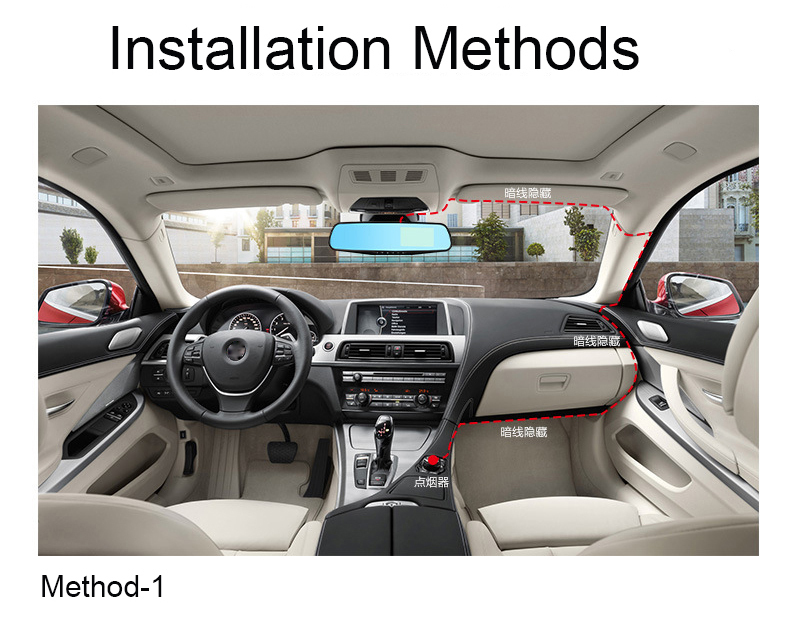 No suction cup that falls down in the heat or clunky mount that blocks your view or damages your car. It plugs right into your car’s cigarette lighter for easy recharging and the rear camera comes with wiring and mounts included. Night Vision – This mode automatically switches on when night falls and ensures that nighttime action is captured just as clearly as the daytime. Photo Mode – Take still photos of anything interesting on your trips like a rainbow or sunset and have it automatically saved to the memory card to view later. 170° Coverage – The Precision lens covers over 3 full lanes which are far more than other brands. 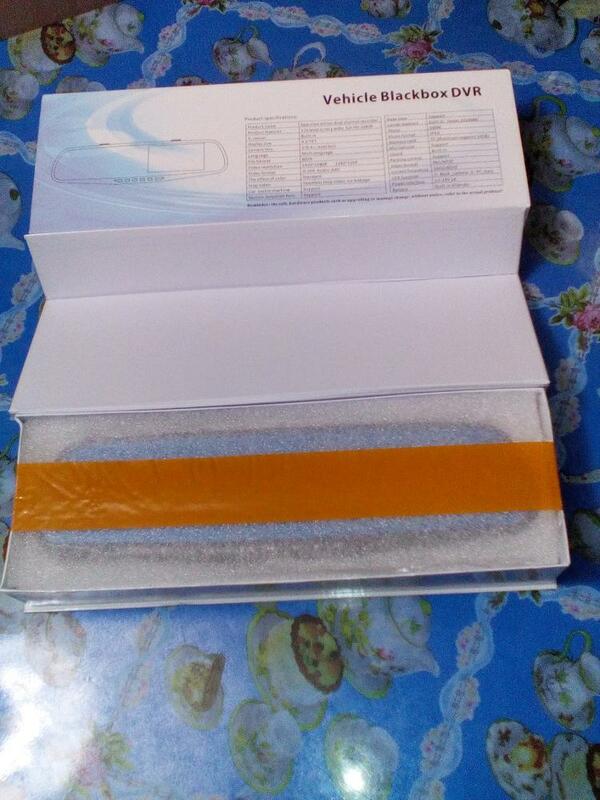 Anti-Glare Coating – The blue mirror coating saves your eyes from bright glare in the midday sun, keeping your eyes on the road, and you safer. 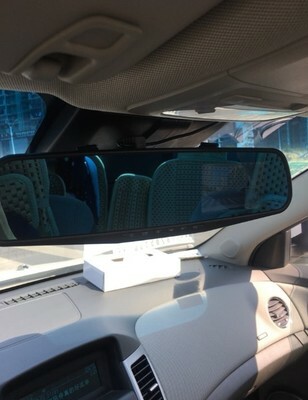 A second time from this seller dvr-Mirror. 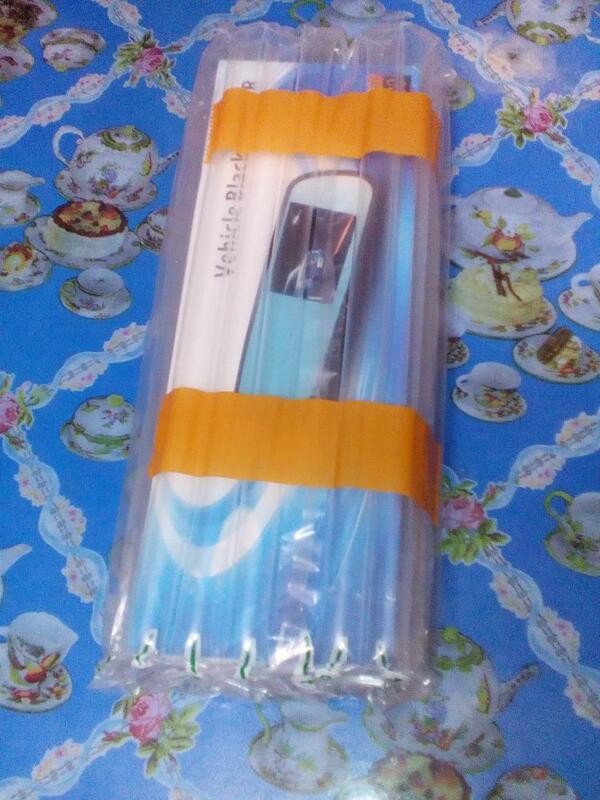 Fast shipping, quality packaging, this happens very rarely. Grade recorder match the description. Photo quality is pretty decent, the menu has. IN general, the seller happy, highly recommend. The camera is good. Come in LO for a month. Track to track the China and at each stop, so to speak. THE type of very high quality. Set is the mirror, and back then, add more feedback. Afraid that screen will break our почтмены, but probably lucky. AND so, packed so that at least кидайся. Very cool even box, such as cardboard, but very durable, and zakryvashki magnets. Do not expect a quality, even throw коробоку sorry)) and even added a piece of paper with a number. 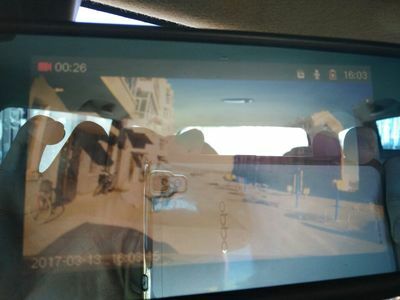 Just wanted to swap) Nice) All good kind, camera writes and as DVR at the same time can show that back there, there is the modes, rear camera can be customized as you need, plate bend snap. Quality if not the best, but for the money is a great option. LEDs light as necessary, but in the dark still help out back lights more. With wires is also no problem, there is red + (rear light) and it would be. Suggest items. Super packed, even if he kicked, not be hurt. It works, writes. For the money is a great option. 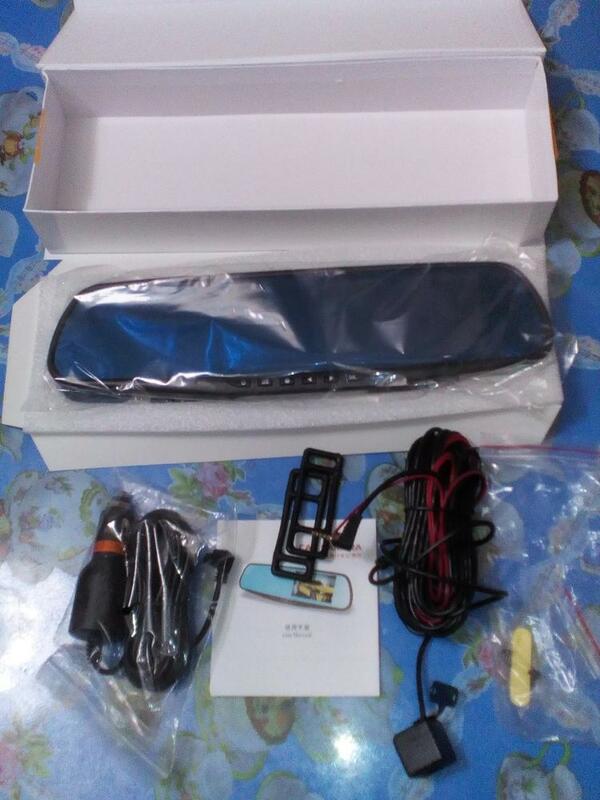 The Expectation was worse, goods very like, Connected To the car, will add a review. Thank you, satisfied! Will be delivered in 15 days. Well Done, track all over!! !